​The INFINITI Engineering Academy is something akin to an X-Factor talent contest for budding Formula 1 and automotive engineers. Young hopefuls from around the world compete in front of a panel of expert judges, hoping to prove they have what it takes to become engineering stars of the future and earn the job opportunity of a lifetime. 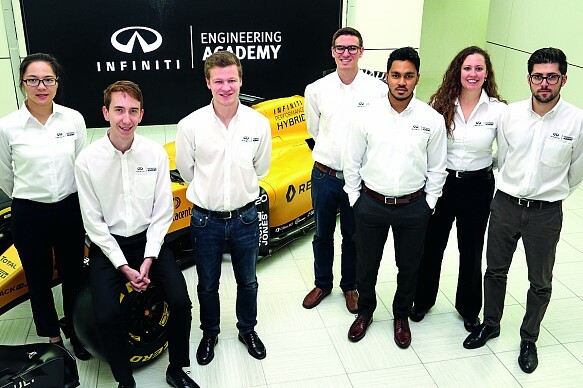 Now in its fourth successive year, the Academy provides a life-changing opportunity for seven engineering students to learn from veteran engineers and play an active role in INFINITI's technical partnership with the Renault Sport Formula One Team. The winners have a personal mentor overseeing their career development as they progress through 12-month placements, working at INFINITI's European Technical Centre at Cranfield and the Renault Sport Formula One Team's base at Enstone, carrying their experiences across from one company to the other. As they learn, the winners enjoy a competitive employment package and access to the latest INFINITI Q30 Sport road car - finishing touches that make the INFINITI Engineering Academy the ultimate student engineering programme. The INFINITI Engineering Academy has grown rapidly, to the point where 12,000 people applied to join the 2017 edition, launched at January's Autosport International exhibition in Birmingham. Such contests can be a great way of flushing out undiscovered talent just waiting for a big break, but the trouble with X-Factor is that it tends to produce one-hit wonders, or stars that fade away quickly and are forgotten. The INFINITI Engineering Academy is looking for talent that is built to last, and candidates who represent the multicultural nature of INFINITI's global operations. 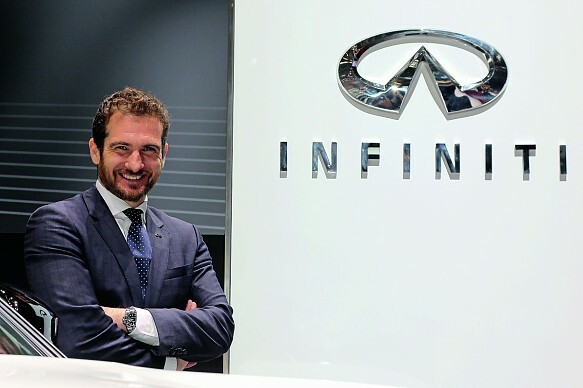 "We really believe in diversity," says Tommaso Volpe, INFINITI's Global Motorsport Director, who sees the Academy as a way of reinforcing links between INFINITI and the Renault Sport Formula One Team, which collaborate to produce the French manufacturer's energy recovery systems in F1. "We wanted to develop a project where we could bring diversity to the forefront of our organisation. We started with this idea of recruiting young engineering students everywhere in the world where we operate, selecting seven of the best in these areas - Mexico, US, Canada, Europe, Middle East, China and Asia Pacific. "There is no other student placement for engineering students where they can have the opportunity to work in both automotive and Formula 1. It is really a once-in-a-lifetime opportunity for these guys." What's in it for Renault? 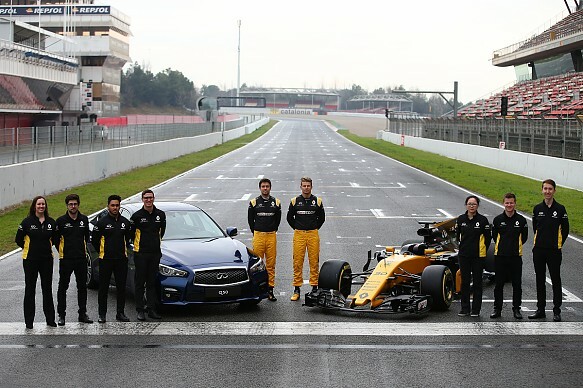 The INFINITI Engineering Academy is no trumped-up work experience programme, or mere publicity stunt. The winning engineers are plugged straight into projects that have a tangible impact on INFINITI's road cars and the ongoing development of the Renault Sport Formula One team's grand prix machine. Last year's China regional winner, Xuezi Li, developed a rear wing element that raced on this year's RS17 Formula 1 car. "It's a programme where people get involved in real racing projects, not made up training projects," explains Nick Chester, Chassis Technical Director for the Renault Sport Formula One Team. "We don't have time to do lots of training with nothing back; we need people who can contribute straight away. What's really impressive is, they do. "Also, it gives us the opportunity to look at that talent to fill permanent roles later. We have a very low-key graduate programme, but it's not of the same quality as the INFINITI programme. We end up with such a good quality of engineers coming through that it's taking over how we look at graduates and young people coming into the team. "It's a very valuable programme for Renault Sport Formula One." Thousands of applications from each of the seven regions are whittled down to produce a group of 70 finalists - 10 for each region. The finalists undergo two days of intense competition to find seven individual regional winners. The finalists compete in teams, but are judged individually on their ability to solve problems, work collaboratively and communicate with the media. "When you go from 12,000 applications, to 70 candidates, to 10 finalists they are all technically very good," says Volpe. "But at this stage we want someone who is also a good ambassador for the company, which means public speaking and representing both brands in a good way." The seven winners each receive that ultimate prize of a split 12-month placement with INFINITI and the Renault Sport Formula One Team. The 2017 European regional winner was 23-year-old French engineering student Damien Turlay, who will begin his placement in October. If he does well, he could earn a permanent position within INFINITI or the Renault Sport Formula One Team, just as 2015 European winner Daniel Sanham did. 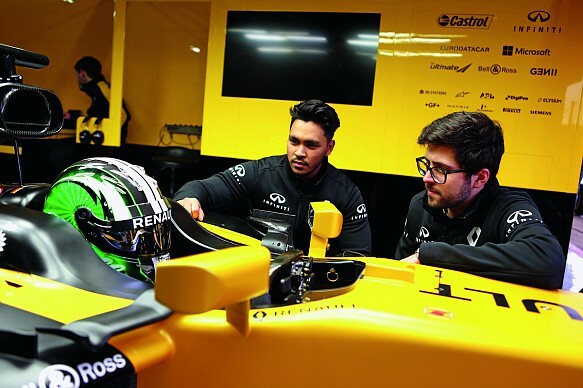 "I've had an incredible experience with the INFINITI Engineering Academy," says Sanham, who now works fulltime in the Renault Sport Formula One Team's electronics department. "A month before my internship finished, Renault put a contract on my desk and I signed straight away. It's a dream come true for any engineer."